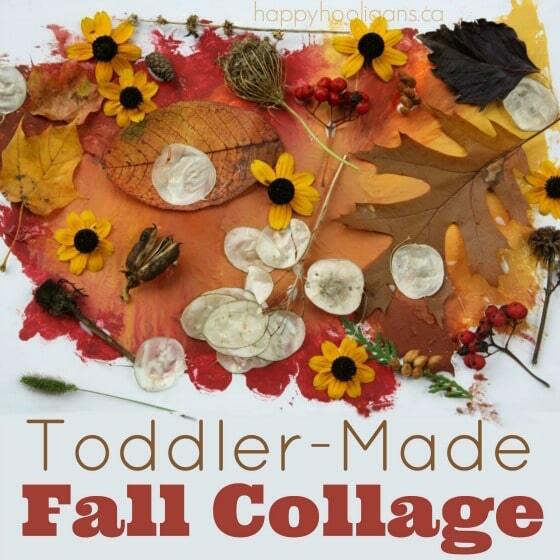 This fabulous fall collage is so gorgeous it’s hard to even believe it’s a preschool craft! It’s true though! The hooligans and I went for a big nature walk the other day, and we had a little treasure hunt along the way. 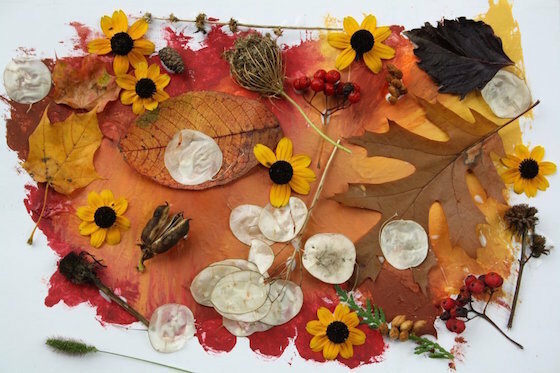 When we got back home, we made these gorgeous collages with all of the beautiful fall leaves and treasures that we’d gathered while we were out exploring. 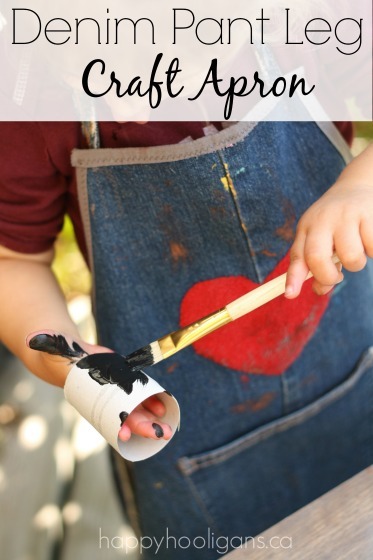 I do believe this may be one of my favourite easy fall crafts yet for toddlers and preschoolers. For the beautiful background for our collages, we’re using one of our favourite paint techniques. 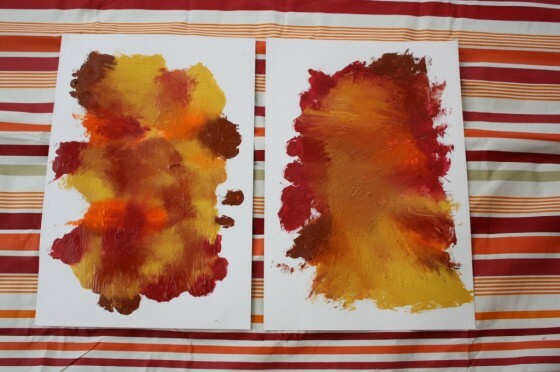 Paint smooshing is a mess-free way for kids to blend and mix colours together WITH their hands but WITHOUT getting them painty. 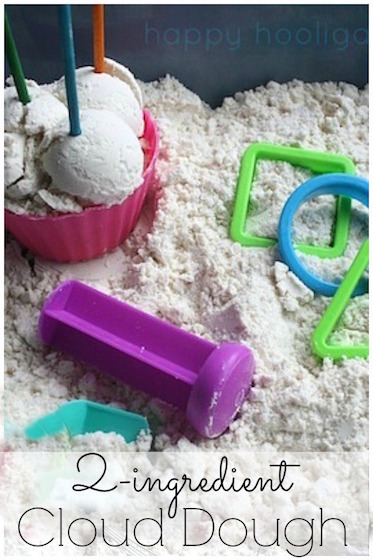 This is perfect for kids (and parents) who are averse to mess or who have sensory issues, and don’t like getting their hands messy. I think the photos are pretty much self-explanatory, but in case you’re wondering, we used acrylic craft paints for the smooshing. We also, we used plastic wrap. 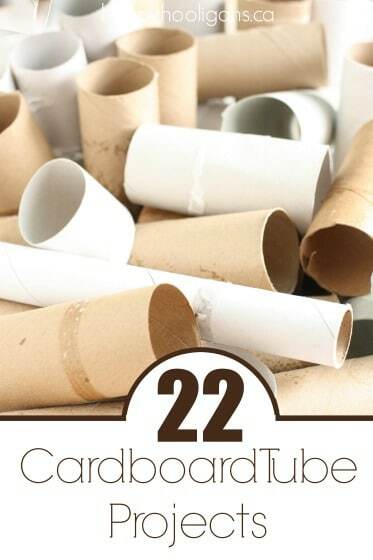 You can use wax paper instead of plastic wrap, or you can even use a plastic bag. 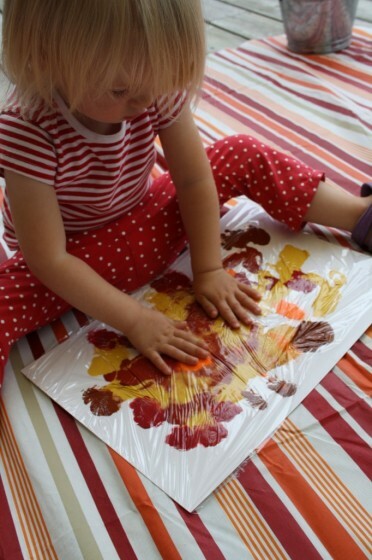 If you’d rather preserve your autumn treasures, Red Ted Art shows us 6 ways to preserve fall leaves right here. This is awesome. 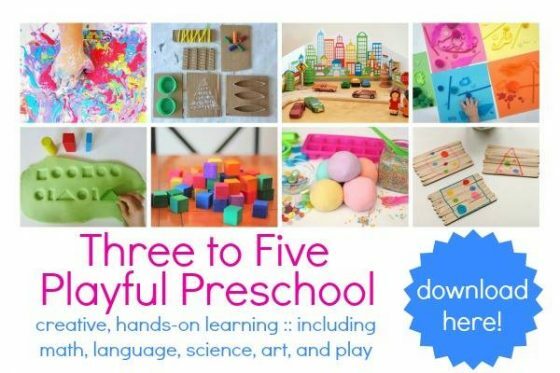 I teach preschool and it would be so cool to see their results. You stated that you were supposed to use wax paper instead of plastic wrap? I wonder why. The results with plastic wrap are gorgeous. HI Barbara, I tried to answer via email, but I’m not sure if it went through, so I’ll answer here as well, for you, and for anyone else who was wondering. 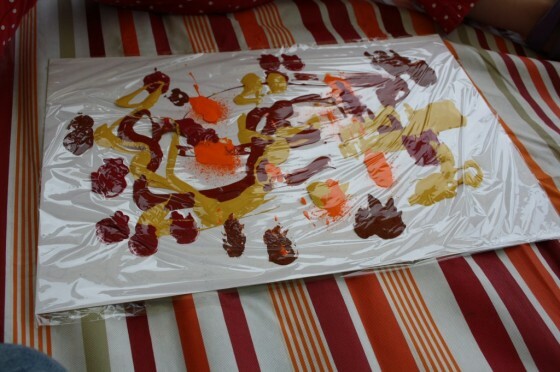 Plastic wrap tends to slide around a bit as you’re smooshing the paint around. Waxed paper, being thicker and heavier would stay in place better, I think. Good question, thanks for asking! I so love this Jackie! This is great. Autumn is my favourite month. Not only is the weather beautiful but the amazing colours inside so much lovely art work and this is certainly one of them. I absolutely love this! I love how you’ve used the plastic wrap and the flowers and leaves look beautiful. It’s a piece of art! 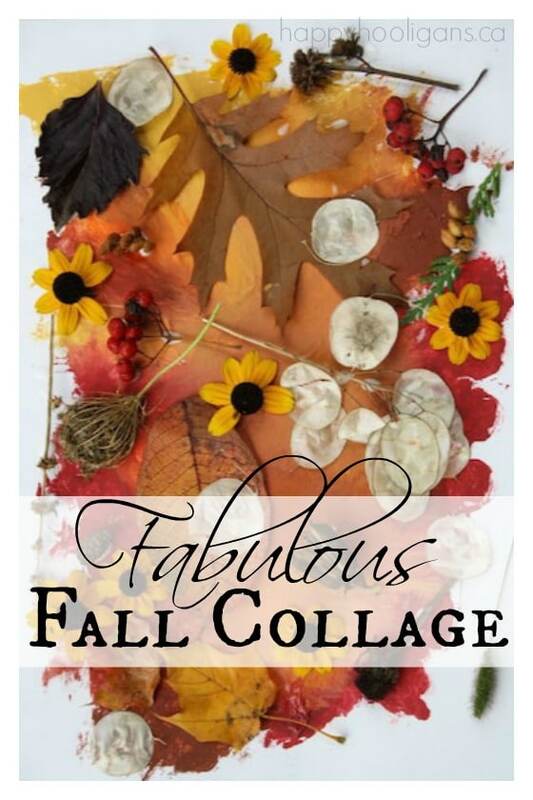 What a gorgeous collage for Fall! It came out great! Thank you for sharing at our Pinning for Play link party! I love the technique you used for the base of this fun collage! 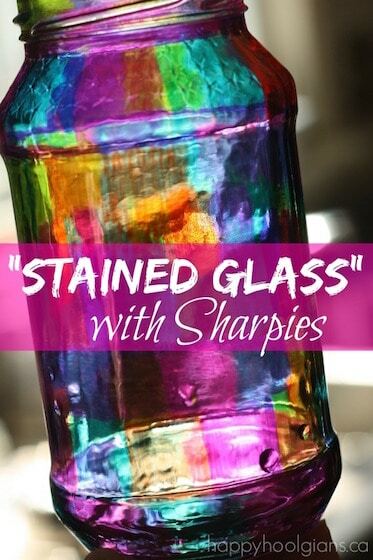 Thanks for linking up with Share It Saturday — I’m featuring this post this weekend. I also love collages but the smooshing component to this one is awesome! 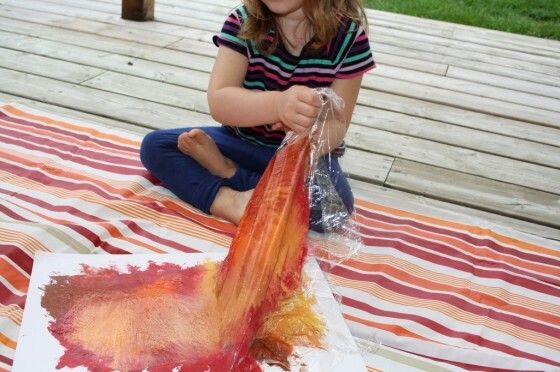 How fun and a great sensory activity! Thanks, Emma! The smoosh painting really is fun, and makes for such a pretty back drop for a collage. Glad you liked it! I’m a Grammy who is lucky enough to spend two days a week with a 2 and 4 year old. Thanks for the great Ideas. We have lots of fun with your activities. You’re so welcome, Alice! 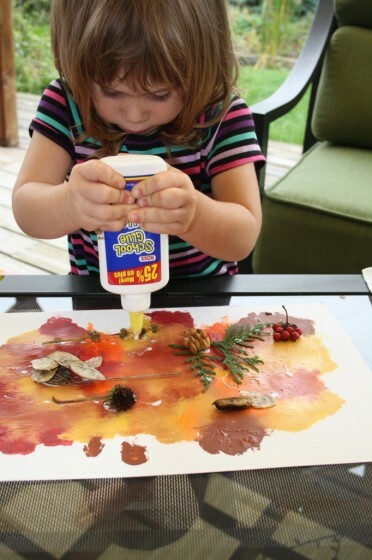 I just love hearing how you grandparents are getting crafty and messy and having fun with your grandkids! Love your art projects!! Especially Starry Night ! 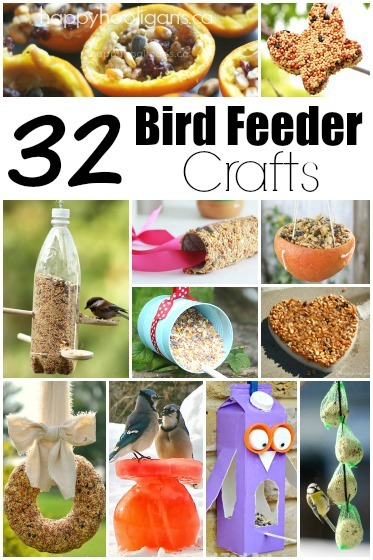 Will be trying most of your projects with my kids. Homeschooling 6 yr old twins, and an 11 yr old. 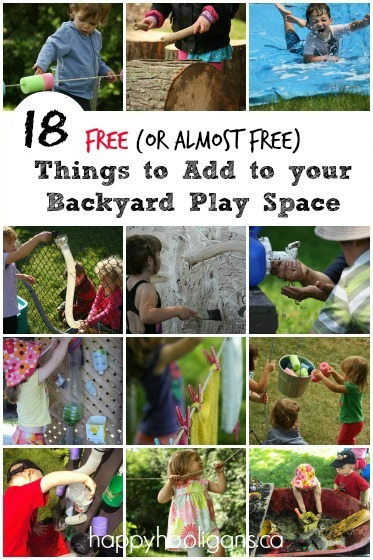 All these ideas can be adapted for both ages. Thank you for sharing! This is awesome. I’m not currently working but always looking for new ideas to share with my grandkids. This is right up their alley. I did something similar last year making scenes and animals from leaves on a painted background with my after school program. 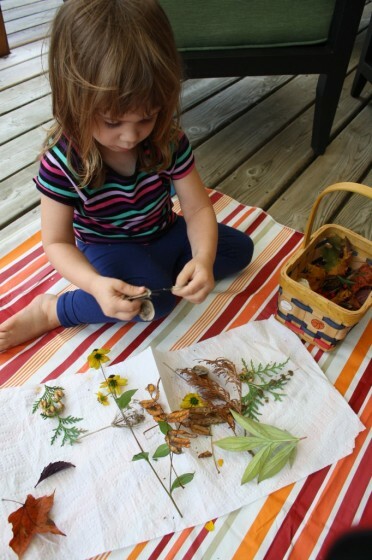 We covered the finished product with clear mactac, so the items from our nature walk did not dry up and fall off.